Fall is approaching, and it's one of the most popular types of engagement sessions because let's be real, it's kind of the best backdrop ever with the beautiful autumnal colors and changing leaves! 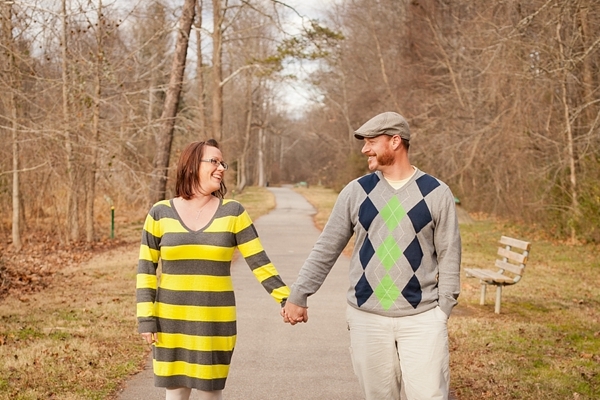 Thanks to Amanda of Amanda Manupella Photography, we've got an expert's scoop on the best fall engagement session tips and the best Hampton Roads locations for a lovely and memorable session. I'll let her take it from here! Hey, everyone! I'm so happy to be guest blogging for Tidewater and Tulle! We are starting to say goodbye to summer and welcoming fall! It's pretty much my favorite season of the year. I think besides football, the eagerness to get into some jeans and a cozy sweater is something we all look forward to at least a little around the Hampton Roads parts! Summers can be brutal with our humidity, so I'm always happy come September to say goodbye to those hot, hot days! There are so many gorgeous places for engagement sessions around here, but first, as a girl, we must talk about clothes first! I truly believe deep down that every client should be comfortable in what they wear, especially for engagements! You want to show these pictures to your friends and family, and for them to say, "That's exactly you guys!" I give my brides a "What to Wear" Pinterest board for inspiration. I stress to them to be themselves first and foremost. I want the shoot to scream THEM and let their love and personalities really shine through. The clothes just add to the awesomeness they have! When thinking of outfits and based on the weather, I suggest just a couple things to clients. * Think layers. Maybe a collared shirt and a jacket for him or a collared shirt and a v-neck sweater! You can dress a pair of jeans up so easily and keep the guys comfy and happy! It's a win/win for them! * Avoid matchy matchy. Avoid wearing the same color top or bottoms (unless they're jeans) and consider wardrobe options beyond the old school "white t-shirt" look. If you do love the white shirt look, add something to the outfit that breaks it up! Maybe a scarf or a necklace something that brings a little detail to the outfit! * Dress for the location. Remember your surroundings! Beaches and trails will yield different shoes and perhaps different outfits. * Consider professional makeup and hair. If it's a fall engagement shoot, this is a perfect time to get with your makeup artist and get to know her more! A quick trip to the salon for a nice beautiful blowout also improves anyone's mood! And the better you feel, the better you look because you're confident and feeling GORGEOUS! * The Chesapeake Arboretum (Chesapeake) - What a gem for fall sessions! You have a barn, there are some GREAT trees that turn beautiful shades of oranges and yellows! You can’t ask for better colors than those! There are also trails across from the Arboretum that during the fall time just scream perfection! * Regent University (Virginia Beach) - Before you go, you do need to go online and request permission to shoot on their grounds but it's worth it! It is free to shoot there, and the grounds are beautifully maintained. It really just works with a nice blanket and a happy couple in front of your camera! * Oak Grove Park (Chesapeake) - There are at least two miles circling a lake! The sun flare you can get as the sun goes down is amazing, and the leaves that pile up just beg for you to sit down in them! There are some open areas as well around the park area up front that give you a second feel to the location! * Ghent (Norfolk) - Cobblestone roads, changing leaves on the trees and American flags hanging from the brownstones just makes me happy. Park at the Pagoda and just walk! You can stay all within 2 blocks of your car and a whole session can be done! * Great Bridge (Chesapeake) and the Pungo area (Virginia Beach) - Fields and more fields! They are famous for open fields with tall grasses... take a drive out to either location. Make sure there aren't any trespassing signs and enjoy what simply is just there! 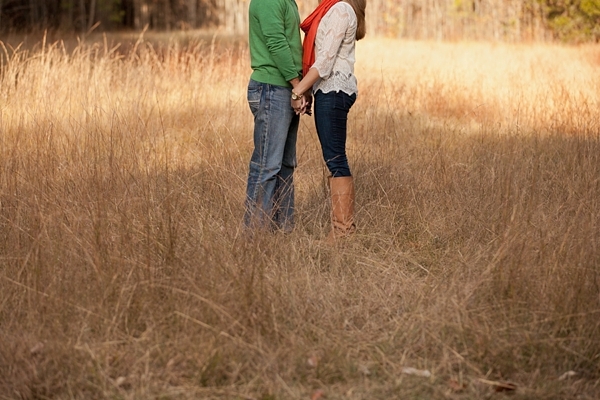 Hope your fall engagements are beautiful! All photos by Amanda Manupella Photography. Get to know Amanda more on her Facebook and Pinterest profiles and find more fall inspiration!